Quichenight I, the first album by Boston native Brett Rosenberg’s band Quichenight, is an enjoyable mix of laid-back acoustic guitar strumming, keyboard harmonies, and quirky yet unpretentious lyrics in the vein of Scott McCaughey. Though the album was recorded “in a Nashville Tennessee basement”, there is little of the traditional Nashville sound at work here apart from country-pop exercise 615. 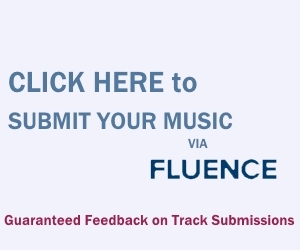 The various genre exercises on the album are given consistency by lyrics, which have the tossed-off quality of diary entries without any of the exhibitionist histrionics the comparison entails. “Bartender reading the Da Vinci Code / Ordering waters, man I feel like a chode,” sings Rosenberg. Someday in the future, lines like that one and many others on Quichenight I will stand as acceptable documentation of what unremarkable evenings must have been like circa 2011. As is the case on albums which pace themselves as consistently as this one does, the first listen tends to obscure which tracks are standouts, with the listener getting enjoyably lost in the undemanding groove. However, there are a couple excellent songs on the album which point the way toward some future iteration of Quichenight, which leans less on the specter of Dr. Dog (“Stuck Here” could’ve been taken right off Easy Beat) and The Minus 5. These moments come largely when a variation in rhythm lends definition to Rosenberg’s plentiful hooks, such as on “The Sober Ones”, where the guitars stab with each strum, punctuating the nasally angst of Rosenberg’s struggle with a sober society which he doesn’t take part in. This track is also the one where Rosenberg gets the most out of his voice, which on other tracks approaches a Peter Holsapple impersonation, albeit a very competent one. The other major standout track, and subject of the band’s first music video, is “L.A. Time”. This song is just a wash of hooks and wonderful vocal harmonies; it gives Caribou a run for his money. This has viral potential, and points to the future. Many other tracks, like “Don’t Trust Me”, sound like standard AM-radio singer-songwriter fare, the sort which would sound pleasantly anonymous on a Sunday drive, but wouldn’t inspire anyone to seek it out. This brings up an issue with the performances as a whole on Quichenight I, a common issue on records with as many stylistic pastiches as this; they seem to be sneering at the initial inspirations. Trapped under the thumb of their record collections, they keep biting the hand that feeds. 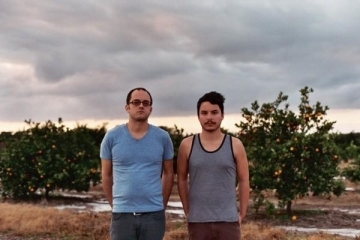 Still, Quichenight I is worth a spin, especially for fans of lo-fi pop. 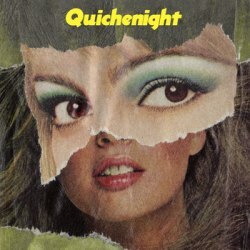 Quichenight is a band to keep an eye out for.